That’s been the case since I reviewed the game in 2016, when I wound up playing through it twice in order to properly evaluate it. First, I played as I thought I was meant to, skipping from solar system to solar system in pursuit of an ultimately meaningless endpoint. The second time around, I stayed put and embraced it for what it was: an offbeat, a max chill explore-a-thon about blowing up rocks and tweeting screenshots of aliens. I liked it a lot more. In the process of writing my review and in the months that followed it, I’ve never stopped trying to reconcile those two conflicting viewpoints. And while I’ve always had a lingering fondness for No Man’s Sky’s spacefaring vibe and play-doh planets, I’ve never stopped struggling to pin down how I felt, and feel, about it. 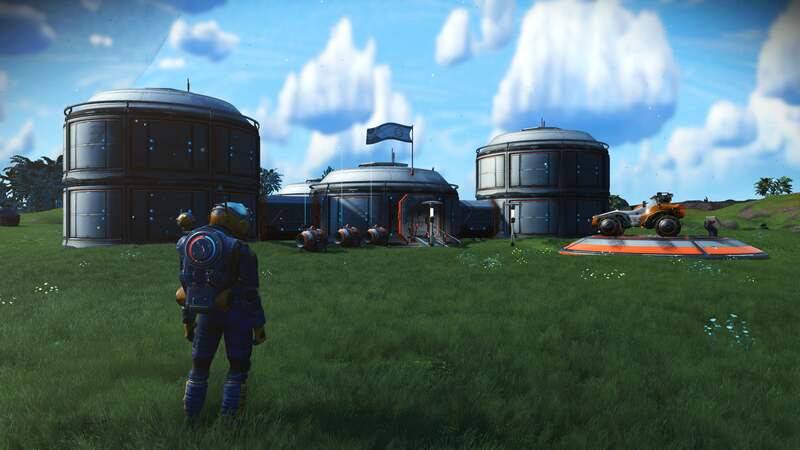 Last week Hello Games released the long-awaited “Next” update, which expands and refines the core game experience until at it is, at times, almost unrecognisable. 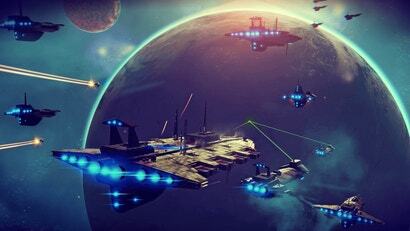 Building on 2017’s substantial Atlas Rising update, the Next update reimagines almost every facet of the game while also introducing a third-person camera, character customisation, fleet management, and most significantly, multiplayer—not “go to the same place but not actually see one another” multiplayer, and not “see one another but the other person is just a floating orb” multiplayer. Actual, our-characters-are-standing-in-the-same-place multiplayer. With the addition of true multiplayer—as well as dramatically improved visuals, planet diversity, starships that are actually fun to fly, and procedurally generated aliens that are goofy looking but also occasionally awe-inspiring—No Man’s Sky has drawn unexpectedly close to becoming, at least on paper, the game many dreamed it would be when they watched those first, majestic advertisements. The checklist of things that were hyped in pre-release trailers and interviews but missing from the game has shortened considerably. I started playing the Next update over the weekend, and quickly fell under its spell. Within 30 minutes I was back in that familiar, mellow headspace this game encourages, casually cruising from planet to planet, feeling overwhelmed by the sheer volume of changes and improvements. 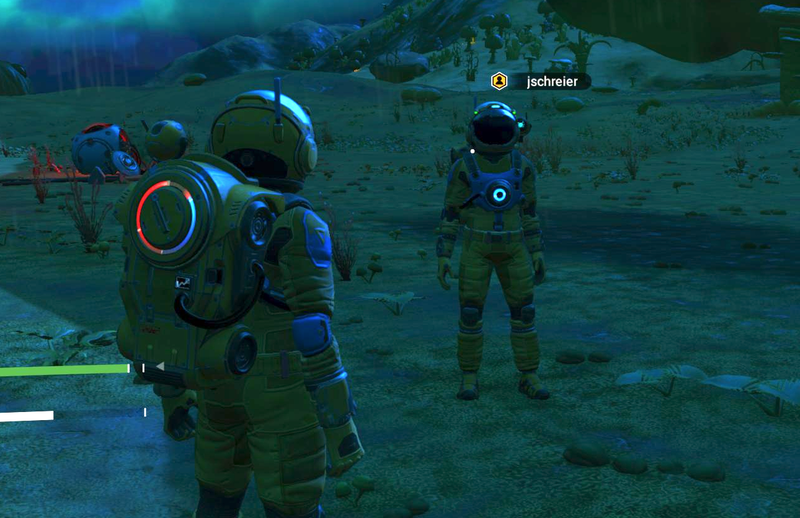 As my colleague Gita Jackson put it last week, “playing No Man’s Sky after the latest big update is like landing on completely foreign terrain.” It was, for the most part, a wonderful way to spend a weekend. My first hour or two were spent wandering and getting my head around all the new systems and features. Oh look over here, I’d think. They changed this, too? And this. And this! It wasn’t until I tried to actually do something—in this case, continue work on the base I had started before the update—that I started to notice problems. The base-building questline was bugged, and I was unable to find a suitable base relocation site despite the game assuring me one was in my current system. The bug (now-patched) also caused the game to make an awful scratching static sound whenever I had the base quest active in my quest log, a glitch that I initially thought was tied to my save game. I reloaded an old save and spent an unfortunate number of hours Googling how to recover my old base, which involved picking over space station public spaces in search of navigational data (long story), before ultimately giving up and starting over. My subsequent hours were similarly spent bouncing between awe and annoyance. 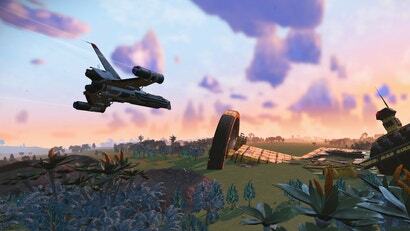 I’d land on a beautiful planet, then find myself grumbling at the still-cumbersome inventory and crafting interfaces. I’d marvel at a gorgeous new vista, then have the game crash as I tried to tweak my PC graphics settings. Time and again my delight at this latest chapter in No Man’s Sky’s redemption story was undercut by lingering technical issues. Yet soon enough I’d be back in the air, marveling at the view while soaring toward my next port of call. Among the game’s many fans, response to the Next update has been enthusiastic. My Twitter feed has been alight with screenshots, stories, and raves. The No Man’s Sky subreddit has been a blissed out collection of gorgeous screenshots, entertaining tales of adventure, and marvelling praise for the developers. Yet below the refreshingly happy surface there lingers a slight but bitter aftertaste, like a Diet Coke chugged on a cold summer day. Additional viewers chimed in below that initial exchange. The hate was justified, said one, calling back to “the dark days of 2016.” “People are screeching the same complaints from 2016 at [the game] now without actually knowing what has been changed,﻿” fired back the original commenter. No Man’s Sky will likely always inspire some measure of conflict. It was an unusually sharp fracture between video game marketing and video game reality, and the sound of the break was loud enough to hear out in the waiting room. I get the sense, reading recent interviews with Hello Games managing director Sean Murray and parsing his cautiously vague acknowledgement of unenumerated mistakes, that he and his colleagues are well aware of what went wrong and have opted to focus on making the game better, rather than relitigating their past mistakes in public. “We can just focus on making games!” Murray told Waypoint in an interview published ahead of the Next launch. “That’s the thing that we’re arguably good at here, right? Just a handful of us have made this really big, ambitious, innovative, weird game. We should just do that.” As the Atlas Rising and Next updates show, that decision to focus on work over words has already borne fruit. Words were what got them into a mess to begin with; work has been what’s carried them out. Over the months and years to come, No Man’s Sky will no doubt continue the process of becoming the game that so many hoped it would be in 2016. In some respects, it will only ever remain in process, because that game can never exist. It was a figment of our collective imagination, informed by interviews and trailers, drawn out and refined over years’ worth of collective dreaming and speculating. Each update, patch, and bug fix will only draw it a little bit closer. “No Man’s Sky reaches for the sun and comes back with a light bulb,” I wrote in 2016, concluding that I was pretty much fine with the light bulb. Two years later, No Man’s Sky still comes back with a light bulb, albeit one with a more celestial shine. Among fans, that ever-brighter glow will continue to chase away the lingering shadows, eventually lighting the way for new dreams of what may yet come. 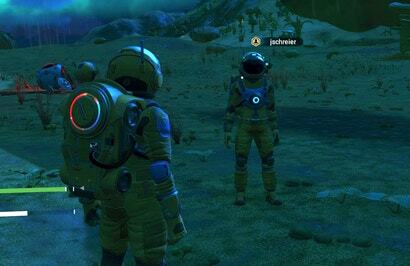 For now, No Man’s Sky remains inexorably tied to its legacy, somewhere in the space between the game that was, the game that is, and the game that may never be. The easiest way I've found to look at it is that it's still not the game promised before launch (it's not a true space simulation) and probably never will be but it's also not really the same game it was at launch either. They've added and changed so much now that it feels like a complete (and rather fun) game now - which in my opinion is not how it felt at launch. The two No Man's Skys. That's very well put. The game has been a crazy ride, not only inside it, but out. I still get amazed by the fervour it inspires in some people. Really fascinating. 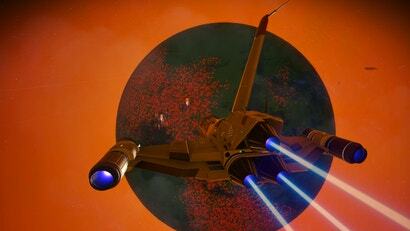 If for anything, NMS will be remembered purely for the reaction people had to it. It's been quite the landmark in gaming culture. Personally I loved it at launch. Sure in some ways it felt 'slight' and yeah there was that whole 'false advertising thing' but in no way do I think they deserved as much hate and hysteria as they got. If gamers reacted to real important issues facing society with that much passion and intensity the world might be a better place. But that reaction over a computer game, Im sorry was simply deplorable. Even though I slightly agreed, in theory. It got so badly all the relaxation I was finding in the game was being really being tested out of the game, and got to a point where I couldnt get all the negativity out of my head while playing. So I stopped playing the game, stopped visiting its reddit. Because at every point people who were liking the game were being ridicule and called fan boys because we were trying to find way to like the gave we got, not whining about the game we didnt. Then I stopped playing it for two years. It feels so good to be back, we all finally seem to have got the full game that we wanted and despite the questionable behaviour before launch, the devs have really redeemed themselves, and stood by their artistic decisions and we can finally see what they did want to do but were pushed to deliver a subpar experience. How do you shift to the 3rd person camera? Can you do this in general play or is it just when you interact with certain places/items? A great deal of this is due to pack mentality Internet outrage which isn’t really consistent with reality. 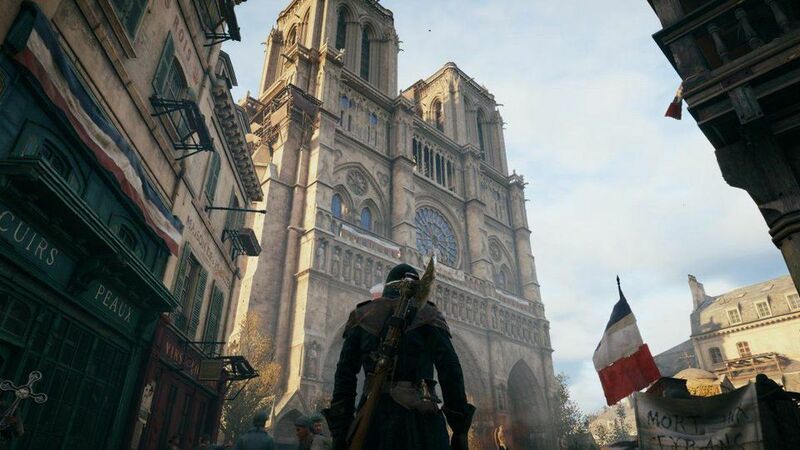 PLENTY of games have features cut during the development process. All accounts suggest the developers have worked extremely hard to add longevity to the game. But hey let’s get on reddit and slag off an indie game like it’s caused cancer. That’ll help.